The Taiwanese Foreign Ministry has deleted from its official account a tweet that mocked China for blocking the release of Christopher Robin, a live-action drama about Winnie the Pooh. According to the Hollywood Reporter, the Chinese government has not allowed the Disney film to be screened in the country. The report cited Beijing's crackdown on images of the Winnie the Pooh character as the reason for the ban. On August 8 the Ministry of Foreign Affairs of the Republic of China (ROC, Taiwan) posted on its official Twitter account a tweet mocking China's ban on Winnie the Pooh. "Taiwan's #OhBear is dismayed at the ban slapped on his cousin Winnie's latest film by censors in #China. Make no mistake: All bears are created equal in #Taiwan & @DisneyCRobin is screening nationwide," the tweet read. OhBear is a mascot of Taiwan's Tourism Bureau. 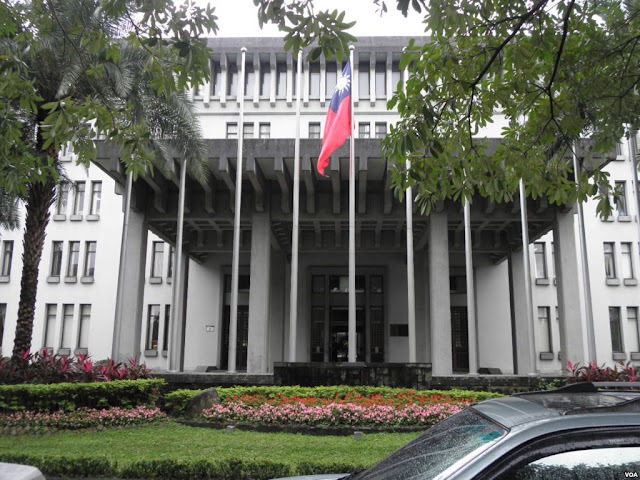 Taiwan's Foreign Ministry regularly posts tweets critical of China on its account. China views Taiwan as part of its territory and has vowed to achieve "reunification" by force if all peaceful options are exhausted. While China is a one-party dictatorship that has become increasingly authoritarian, Taiwan is a vibrant democracy. However, the Foreign Ministry later deleted the tweet. According to Taiwanese media reports, Foreign Ministry spokesperson Li Hui-chang said that the tweet was aimed at emphasizing Taiwan's freedom of speech and democracy, but that it was removed to avoid "unnecessary wrong interpretations." Winnie the Pooh began to be censored by Chinese authorities in 2013, when a picture comparing president Xi Jinping and Barack Obama with an image of Pooh and Tigger went viral on Chinese social media. Similar memes circulated after a meeting between Xi and Japan's Shinzo Abe and after a military parade in Beijing. It is not clear whether Christopher Robin has become the latest victim of China's crackdown on Winnie the Pooh, or whether the ban is motivated by the country's long-standing policy of imposing film quotas to favour domestic productions, especially in the summer months. According to China Film Insider, since 1994 Beijing has allowed foreign films to be screened in Chinese theatres on a revenue sharing basis. However, the number of allowed movies is restricted by import quotas. From 1994 to 2002, the quota was ten films per year; in 2002 the quota was increased to 20 films per year, and in 2012, it rose to 34 films annually.